Canadian Real Estate Buyers Guide! Buy or sell when the market is moving. With the Tax Cuts and Jobs Bill, the US economy is surging. Tax cuts mean Americans will have more money, yet the US real estate market isn’t as attractive anymore. US real estate prices may fall while the US dollar is falling in value. Investors are looking for better investments, and although the Toronto and Vancouver markets are stagnating at present, they will likely start to surge in June. With the prices of oil and Canadian interest rates up, the Canadian dollar is rising (now over 81 cents US). That makes Canadian real estate a worthy in investment, particularly as a rental income property in markets where rental units are shrinking. The fall of the US housing market and Canadian housing market have been heading in opposite directions as we enter into 2018. With the US dollar forecast to fall, Americans may improve their capital gains in the Toronto, Calgary or Vancouver markets. 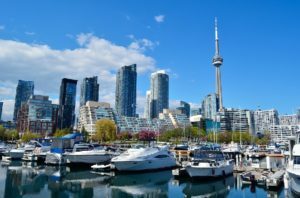 The 25 cent bonus on the USD/CAD exchange rate at a time when home prices are in a temporary lull could give US property buyers a 30% premium or more when purchasing homes or condos for sale in Canada. That’s not all. Right now in early 2018, outside of the Vancouver and Toronto regions, in cities such as Edmonton, Calgary, Saskatoon and St Johns, real estate values are very low, giving you even more purchasing power. Experts are suggesting prices will go much higher due the housing crisis. Homes and Condos are in short supply and are bought quickly. A 25% Bonus: It’s a very positive environment for investors and well worth learning more about. If the Canadian economy grows alongside of the US economy, we could see very ideal conditions for buying Canadian homes, condos and cottages, and even rental property during the next 6 months in Canada. You may never have such amazing purchasing power for your money again. It’s worth it to contact a realtor here in Canada and inquire about homes for sale. Prices are rising moderately in Toronto, but there are homes for sale in all regions. You can check now for new homes for sale in Toronto, Mississauga, new homes in Vaughan, new homes in Newmarket, and Bradford just outside of Toronto. Why Toronto? 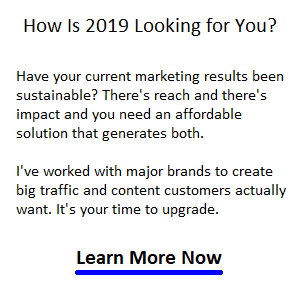 Do you know anyone looking for a safe investment with a 30% ROI that’s growing? Make sure they see this! Vancouver has a foreign buyers tax which will erode your return and wealth. Vancouver is discouraging further investment. They don’t want your money. Toronto on the other hand is open to such investment and has a huge number of Toronto condos being constructed. There are huge housing developments such as in Vaughan and Bradford where thousands of new homes are being built. If you prefer new properties to rent out, as an income investment, this might be a good target for you. The hot ticket for investors right now is rental property investment. The purpose of this guide is to make you aware, and give you some information on how to go about investing in real estate in Canada. Canada is a politically stable, low risk and safe place to invest and it is open to foreign investment. While some provinces have limits on foreign ownership of land, Canada is for the most part wide open to foreign real estate investors. There are no taxes on buying property in Canada, however you will be taxed when you sell. With Canadian mortgage rates so low right, and with not much increase expected, it may be wise to use a Canadian mortgage financing company to purchase your property. However, you could use your own bank. To understand all the legal requirements necessary to buy property in Canada and obtain mortgage financing, it is wise to contact a licensed Realtor in Canada. The investment landscape is always changing and certain regions of Canada are amidst different circumstances. 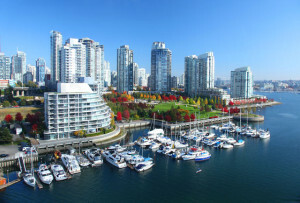 Vancouver has just gone through a real estate boom and the local government has imposed taxes to discourage foreign investment. Toronto is a very hot real estate market and low housing availability and other conditions will keep prices high for sometime. Prices in the greater Vancouver and Toronto regions are high. Canadian government policies have sought to restrict first time buyers who may lack the financial resources and be carrying too much debt to buy a home. This is a precautionary measure and may impact your attempt to obtain financing from a Canadian bank or mortgage company. 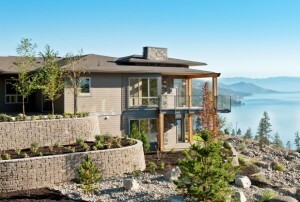 Kelowna BC is not impacted by a foreign buyers tax and is currently in high demand. Calgary and Edmonton’s real estate market is flat and could represent an ideal purchase. However, the oil and gas sector may not return to health for many years. Areas and towns outside of Toronto have not seen the huge price increases, thus may offer better ROI than a condo in downtown Toronto. There are tens of thousands of Realtors to choose from in BC, Alberta and Ontario, however most are inexperienced agents without connections, expertise, market knowledge, or marketing power, and other are near retirement with insufficient motivation to work hard for you. To find a good real estate agent, you’ll want to review their online presence. Do they have at least one website and social pages where you can get to know them? Transparency and marketing effort are important. You can search for a Canadian realtor line via google.ca, or through realtor.ca, or reco.on.ca. Ontario realtors are licensed and governed by RECO or the Real Estate Council of Ontario. You can get answers to a lot of questions on the RECO website, however, you’d be better advised to speak to a Realtor to save some time on your information search and avoid becoming confused and demotivated. Your interest in buying Canadian real estate is wise. Keep your intent alive by speaking to a real, licensed Toronto area Realtor right now. There are negotiable and set fees when buying real estate via a Realtor™. The realtor will typically be paid up to 2.5% of the sale price of the property. The buying agent and selling agent will split up to a 6% transaction fee. However, there is no limit on Realtor™ fees. It may be wise to avoid a Realtor™ who charges low fees, as they may be reluctant to put a good effort in for you. That lack of time and resources could translate to poor buying decisions. Given the massive return on investment possible during these times, it’s wise to pay a Realtor™ their normal fee so you receive their full attention and support. When you purchase a home or condo, new or old, you may be required to pay a deposit, appraisal fees, home inspection fee, survey or certificate of location cost, title insurance, land registration fees, water test, septic tests, Estoppel Certificate fees, and condo or strata fees, property taxes. This is why hiring a knowledgeable Realtor™ is wise. No purchase of real estate is without risk. If you need financing to buy a property in Canada, you can obtain it via Canadian banks or what’s called the secondary mortgage market. Banks or mortgage brokers are a good choice depending on your credit situation. These lenders are more amenable to lending when the property is located in Canada. Secondary mortgage lenders may require more collateral and charge higher mortgage rates and fees, while banks may not lend you money if you are considered to much of a risk. You will need to provide documents related to your financial wealth, income and credit worthiness when you apply for a mortgage in Canada. You can also use US banks for financing and the advantage is that you have a credit rating in the US, which US lenders might have more respect for. However, legal agreements between the US and Canada, give lenders the ability to collect on debts, so don’t think that because the property is in Canada, that it’s an issue. The lenders know they can foreclose on the property if you’re in default of payments. You may have to pay a down payment of up to 35% of the property. It’s important to remember that is hard to verify credit worthiness of a foreign buyer and more challenging to collect on money’s owed. You can expect to pay higher rates because of the increased risk. Canada’s CMHC offers mortgage insurance for home buyers who can’t pay the normal downpayment requirement of 20%. On purchase, you don’t have to pay taxes on property. Taxes such as the Ontario land transfer tax, Toronto land transfer tax, and British Columbia’s foreign buyer tax are payable by the seller. However, they do raise your purchase price since the charge will be passed onto you as part of the purchase price. Non-Resident Income Tax: You will be subject to a non-resident withholding tax of 25% of the gross sales price. You can request to have the non-resident tax withheld on the net capital gain on the disposition instead of the gross sales price. You can fill out the required forms with the Canada Revenue Agency and also obtain a Certificate of Compliance. You must notify RCA within 10 days of selling the property. If you finance your home and need to take out an extra loan to help with the downpayent, you are required to purchase homebuyers mortgage default insurance. Canada’s CMHC provides mortgage loan insurance that enables you to buy a home with a minimum down payment starting at 5% of purchase price. Find out more at CMHC. If you finance the purchase, your mortgage provider will require you to carry homeowners insurance to protect the value of the home or condo. To find a good home, condo or property to buy, read the homes for sale tips page to whet your appetite and gauge the prices and types of homes available here in Canada. Areas such as Toronto, Mississauga, Newmarket and Vaughan are ones you may feel safer in investing in. Visit the pages covering new homes in Newmarket, new homes in Bradford, and new homes in Vaughan to learn more about housing developers here. An offer is a formal, legal proposal to purchase a property. You can put forward a written offer to purchase with it may be a conditional one or unconditional one. Conditional ones have to do with on approved financing or the repair of certain features of the property before title transfer. The buyer can and often will make a counter offer to yours. The market in Toronto and Vancouver is scarce giving buyers the ability to demand a higher price. If the seller accepts your offer, then on closing day (date you take possession), your lender will forward the moneis to your lawyer or notary all the money from your mortgage. You will also provide to your lawyers, your down payment usually with a certified cheque. The lawyer or notary will then pay all the fees and other costs for you, and send all the money to the seller’s lawyer. Your lawyer or notary will then register the property in your name, and send the deed and keys to you. The property is now yours and you are considered the title owner of the property (as governed by the Ontario land titles system), registered in the specific province where you bought the property. The Buyer’s Guide to Buying Canadian real estate is presented as a helper to give you an overview of how to buy property in Canada. For accurate advice and legal counsel on purchasing property, please speak with a licensed realtor or real estate lawyer. Best Cities to Invest In Canada? 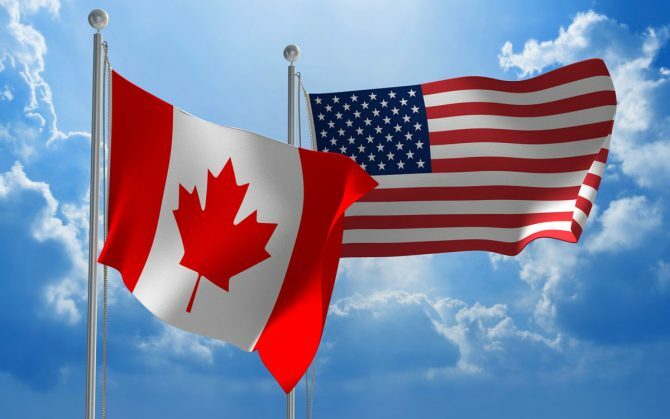 Please do Share the US Buyers Guide to Canadian Real Estate on Facebook, Twitter, or Linkedin. Sharing is Healthy! 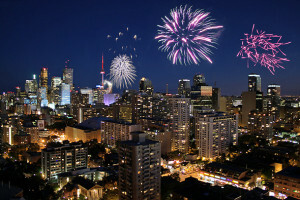 Learn more about the 2 hottest housing markets: The Toronto Real Estate Market and the Mississauga Real Estate Market. The above information is not intended as professional advice to buy or sell property, but only as an encouragement to seek out the assistance of a licensed Realtor, Canadian investment advisor, mortgage broker or other professional for you to explore current opportunities. Political, legal, currency and other factors may reduce the return you receive on your real estate investment.